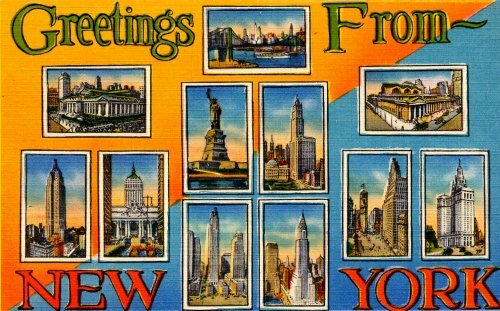 In the first album of New York pictures, we got a glimpse of the more famous landmarks in New York City. In this second album we will visit some more famous landmarks and venture off the beaten path, with a futuristic look at Manhattan. 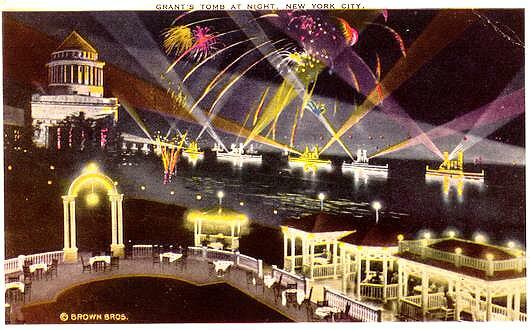 You can also explore New York Amusement Parks, New York Subways and Rockefeller Center. 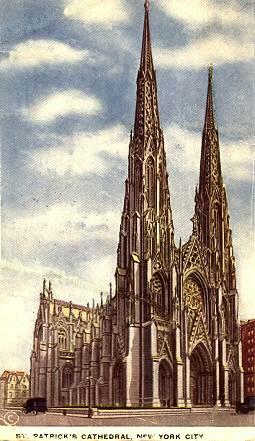 St. Patrick’s Cathedral, at 50th Street on 5th Avenue, was built in 1885, next door to Saks Fifth Avenue. 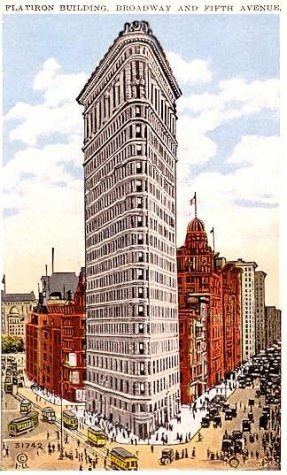 The Flatiron Building at 23rd Street and 5th Avenue was built in 1902 and it is actually the Fuller Building. 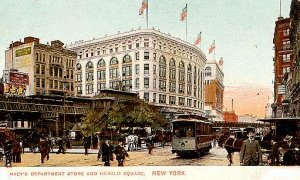 In 1903, the head of the Pennsylvania Railroad decided to electrify his steam railroads and built the largest train station in the world as a majestic gateway to New York City, before the days of jets and airports. 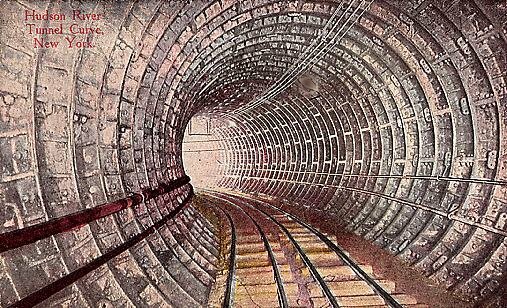 Opening in 1910, Pennsylvania Station was built as the crowning jewel to a massive project that included underground tunnels. 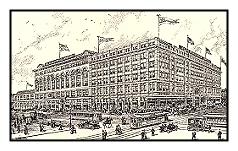 Thirty Romanesque columns framed the grand entrance to Pennsylvania Station. Designed to look like the Parthenon, Penn Station was made of rare Travertine Marble, which was imported from Tivoli, Italy. This marble was used in the Roman Colosseum and St. Peter’s Basilica in Rome. 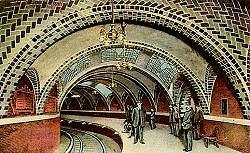 Penn Station’s main lobby stood 15 stories high and the barrel-vaulted ceiling consisted of several acres of glass. 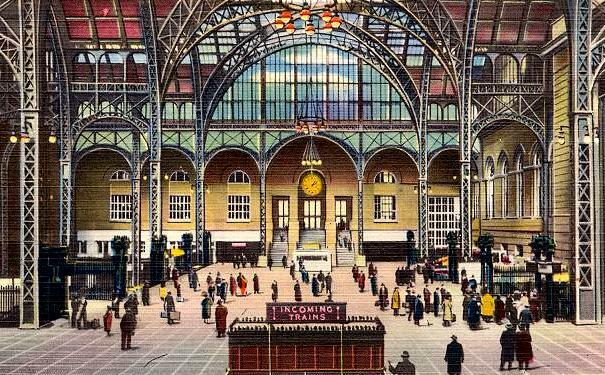 At its peak, Penn Station served over 100 million passengers a year. It survived two world wars. Nearly all the troops who went off to war went through Penn Station where Eleanor Roosevelt would give impromptu pep talks to the men in uniform. 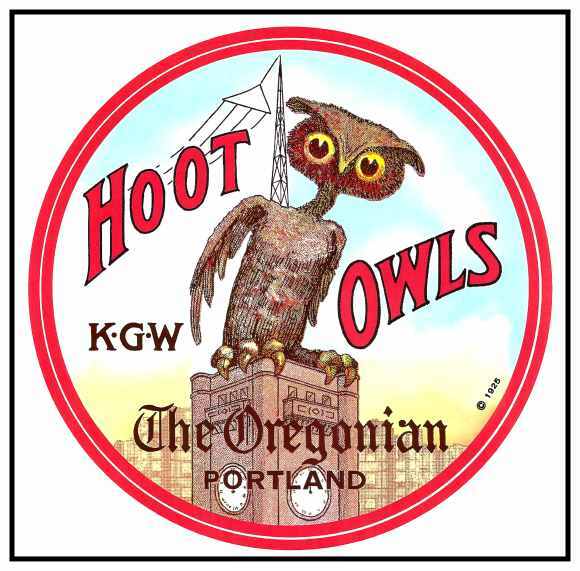 It was the site of many tearful departures and reunions. Another view of the Interior of Penn Station. 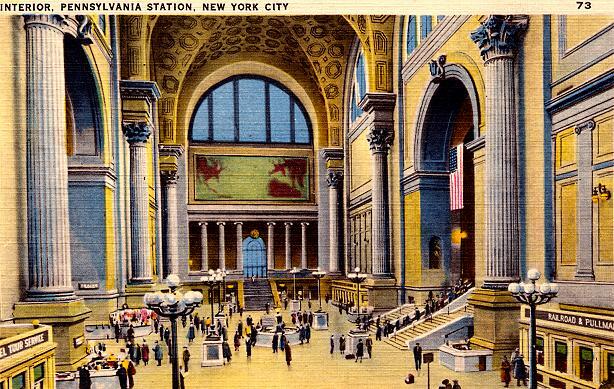 Sadly, Pennsylvania Station met the fate of the wrecking ball of “progress” in 1963. 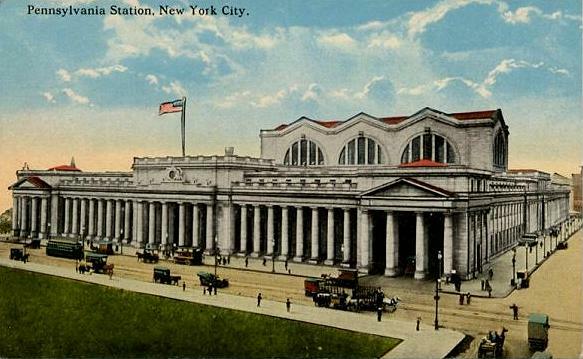 Historic preservation took on a new meaning with the loss of the original Penn Station. 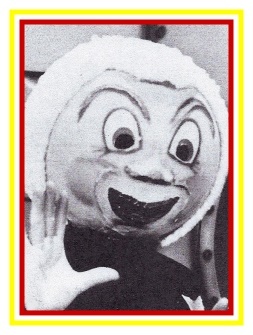 Laws were quickly passed to keep such a tragedy from happening again. 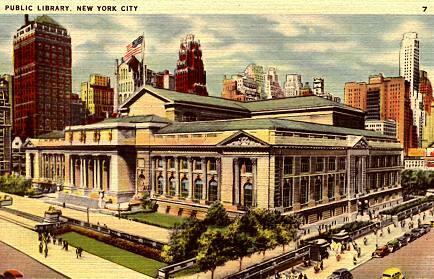 A new Madison Square Garden replaced Penn Station. The current Penn Station occupies a cluttered, somewhat dreary, modern basement space. 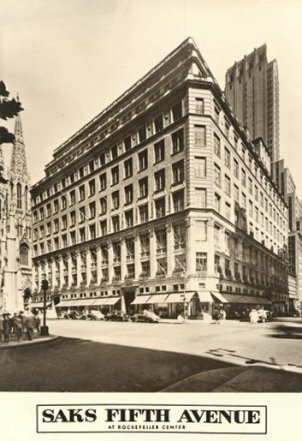 Plans are underway to relocate Penn Station to the old Farley Post Office on 8th Avenue, a block away from the original site. 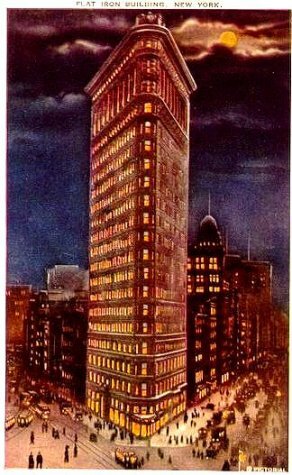 The same man who designed Penn Station, designed the Post Office; and it has the grand Romanesque columns similar to the original Penn Station. Fortunately, Grand Central Terminal, which was pictured in the first album, still survives and was recently renovated. 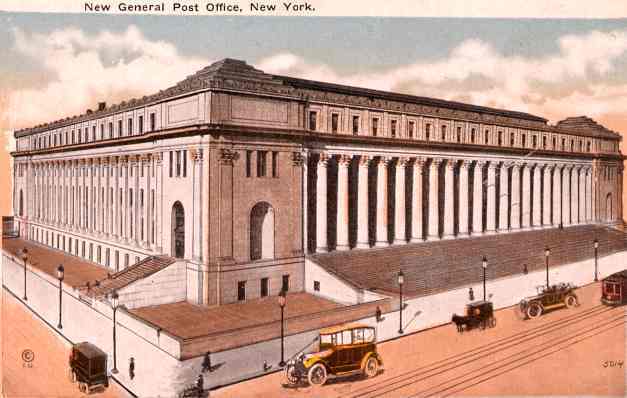 The 8th Avenue Post Office, which is supposed to be converted into the new Pennsylvania Station. Every visit to New York is worthy of a few days at the Metropolitan Museum of Art, which is famous for its extensive collection of Egyptian Artifacts. 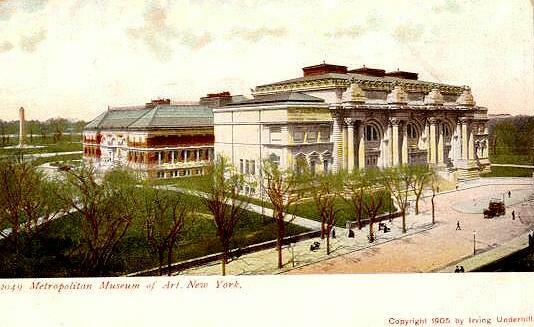 Construction began in 1880 and with the many additions; the museum is much larger today. 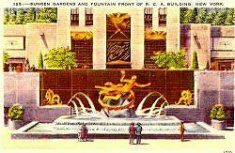 The Museum is located at Central Park at 5th Avenue at 79th St.
Fireworks are popular at Grant’s Tomb on the Hudson River. New York’s Public Library at 5th Avenue and 42nd Street covers two entire city blocks. It is built entirely of marble and cost nine million dollars. Doors guarded by two majestic lions opened May 23, 1911, and it contains over 2 million volumes. 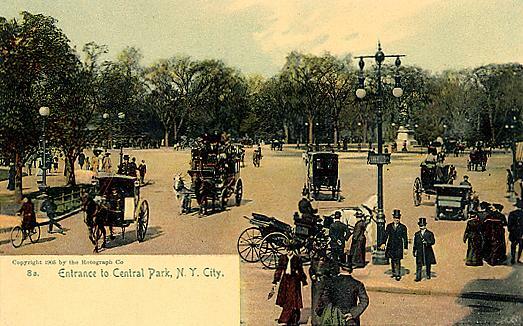 Central Park, an 840-acre island of green in a sea of concrete, was purchased in 1856 for five and a half million dollars. It contains a zoo, a carousel, a theater, several skating rinks, restaurants and playing fields. 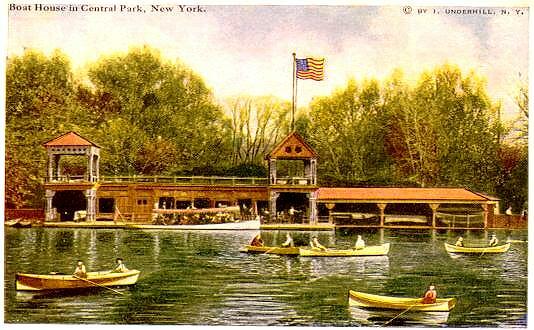 One of the designers was Frederick Law Olmstead. 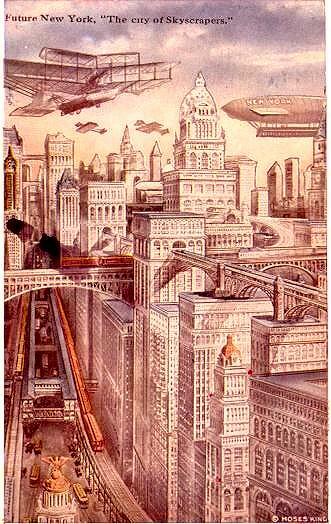 This futuristic view of New York City was conceived for the 1939 World’s Fair, which was held in New York.